As the newly-appointed head of Bentley Music Academy (BMA), Kevin Field hopes to eventually establish BMA as the leading pre-tertiary music school in Malaysia. Field, well-known for his work with the Malaysian Philharmonic Youth Orchestra, wants the school to be able to provide the type of education he himself had been lucky enough to undergo in Northamptonshire, UK where he grew up. There, he had the opportunity, as a student, to play in two youth orchestras, a symphonic wind band and a ‘big band’ every week. For the moment, he plans to take advantage of BMA’s huge space by tripling the number of students in the school for one-to-one tuition. He is also planning to allocate more space for upcoming ensembles to be resident at BMA, and by offering greater performance opportunities, make BMA accessible to more students, both young and old. We sat down with Field to find out his thoughts about music teaching, the prospects for classical music in Malaysia and his journey to becoming a professional musician. How important is it for children to have good music teachers from an early age? Assuming you start before you are a teenager then it’s not necessarily the age at which you start but with whom and where. Sadly, too many young musicians in Malaysia don’t get the opportunity until they are at tertiary level and—assuming they are aiming for a career in music—technique-wise this is too late even though they may have the required emotional and cerebral skill. It is vital for pianists and string players to start at a young age and for the parents of all young instrumentalists to be involved from the start. Ideally we should all start by singing, moving (dance) and have some rudimentary skills in pulse, time and rhythm—via drumming. It’s certainly not just about pushing students through graded exams year on year. 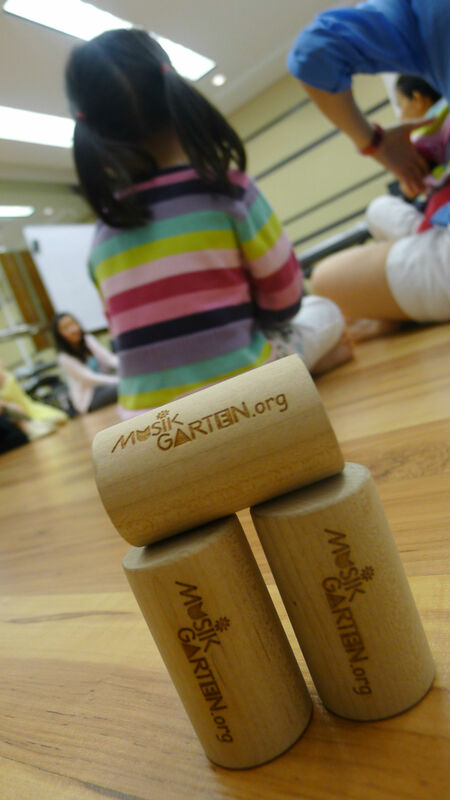 It varies from person to person, of course, and a certificate that says you can teach doesn’t tell the whole picture. Some of the best teachers I know are performers first and foremost and don’t have a teaching diploma to their name. Any teacher of quality has to be compassionate to both the individual as well the music. It’s certainly not just about pushing students through graded exams year on year. 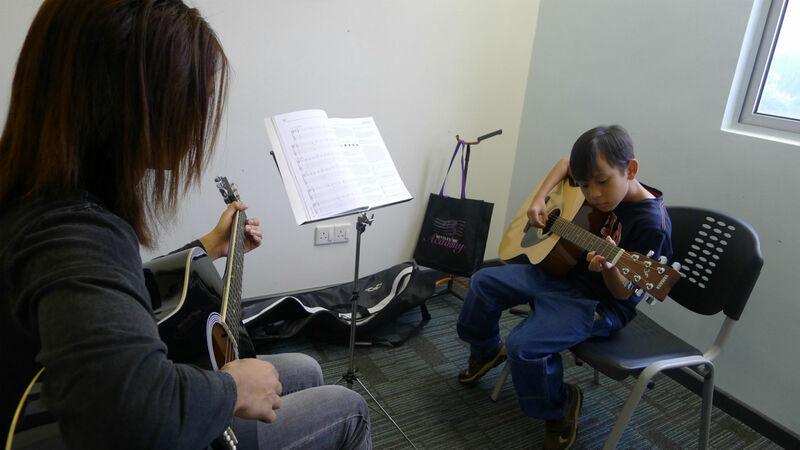 What can parents do to support their children who want to become musicians? They can help on many levels: get involved from the start—don’t just ‘shop and drop’—get to know what your child is going through; but also don’t be too pushy! Show your support by allowing the individual to grow at his or her own rate; try not to be too hasty in getting those grades before time. 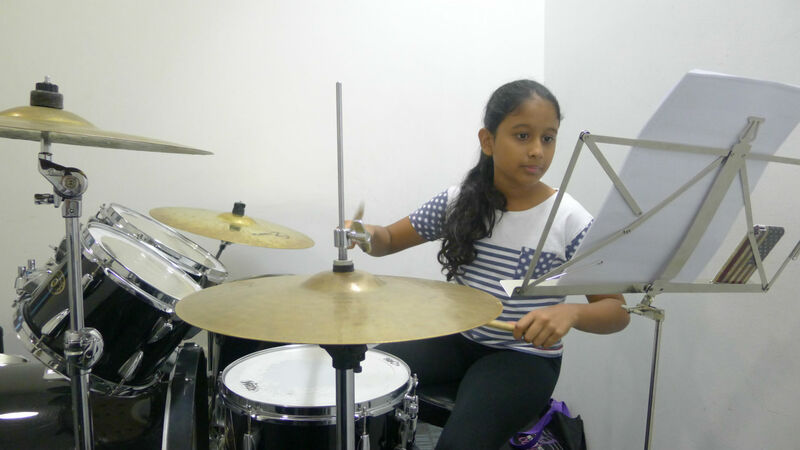 Think about your choice of instrument: Malaysia has many pianists, guitarists, drummers and violinists—choose an instrument that is very much in need in Malaysia and around the world (there may be less competition! ): brass and woodwind players, for example, as well as viola and electric bass and double bass players are always in demand. Know that music helps with all-round academic and social development within the individual and that a career in music can be achieved and is just as vital as that of any other profession. And remember that your child’s teacher is a professional too and also needs to be paid on time! It is vital for pianists and string players to start at a young age and for the parents of all young instrumentalists to be involved from the start. What are your views on the prospects for careers in classical music in Malaysia? You talk of classical music over that of jazz or rock and pop; I think we should concentrate on orchestral music per se as opposed a specific time in history to which the term ‘classical’ is applied and thus perhaps one of the reasons there is more appreciation of rock and jazz. Will.i.am put a symphony orchestra on his music from Mars last week, the band Gorillaz use orchestras on most of their albums, some of the best contemporary pop artists have been ‘classically’ trained and many jazz musicians understand the harmony and form of Debussy, Ravel and Stravinsky… they in turn studied jazz! Being involved in orchestral music is a solid foundation regardless of whether you will be the next great concert pianist, Grammy-winning solo Blues artist or your next lawyer or dentist. I read that orchestral opportunities are becoming fewer around the world—except in Asia, it seems—and yet most Malaysian musicians who have travelled abroad to study refuse to return because they can still make more money overseas. This suggests that there remain relatively many more opportunities abroad where being a musician earns more respect in an environment where there is greater awareness, appreciation and integration of support from both the state and the private sector. When did you know with certainty that you wanted a career in music? I was at Art College heading towards a career in graphic design and made the decision to shift towards music fulltime during one chilly life-drawing class! I was still active as a percussion student at the time and found myself—finally—falling for symphonic music over and above the other music genres. I took a full year ‘out’ to study music theory, harmony, history and analysis—on a foundation course (something I hope to offer at BMA in the near future) and was eventually offered a place at what is now the Birmingham Conservatoire of Music. 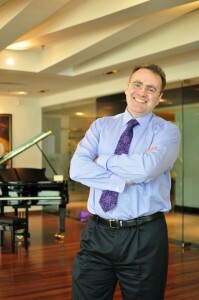 By the end of my first year I was 19 and working with the City of Birmingham Symphony Orchestra and at the end of my second year I transferred to the Royal Academy of Music in London (RAM) before getting a position in the Bournemouth Symphony Orchestra and then eight years later, I moved to Malaysia to be with the Malaysian Philharmonic Orchestra. It sounds all too easy in one short paragraph but I am talking about the result of hours of practice each day, auditions, study, exams, more auditions and still yet more practice. And it doesn’t stop. Each time I open a new score to learn prior to conducting I start all over—time and time again. The learning never stops. Think about your choice of instrument. What were some of the obstacles you had to overcome to become a musician? I was very fortunate to have had family support from the very outset and to have lived in a country that appreciated the value of an education in music. That’s a wonderful and secure foundation and something I increasingly appreciate the longer I live and work in Malaysia. There are the day-to-day musical challenges the like of which all musicians face, of course, but that’s all part of the process. I know of people who were bullied for being ‘uncool nerds’ or ‘just plain weird’ because they played orchestral music: this attitude sadly still exists in some quarters. Fortunately, I was belligerent enough to ignore such small-mindedness. The greatest threat is other people’s misconceptions about what it means to be a musician, especially if they happen to be in a ‘control of the arts’ and yet have no idea of what it is they are dealing with. Ignorance in this case is not bliss; it shows itself in forms of suppression and, since time immemorial, people have been afraid of the artist and of any culture and its power to communicate what can’t be put into words. This entry was posted on September 21, 2012 at 7:59 am and is filed under Articles. You can follow any responses to this entry through the RSS 2.0 feed. My children are very keen to join the Malaysian Youth Philharmonic Orchestra. Which will be the best way to go about this? My eldest, Kimberley (22 yrs) teaches music (piano, Violin) and also performs with the saxphone and ukulele. My youngest girl, Beverley (15 yrs) is very keen to pursue with the violin having scored distinction till Grade 4. She previously took piano theory and practical and is currently performing at concerts with all instruments including the ukulele. My son, Jordan (18 yrs) is into piano and drums.